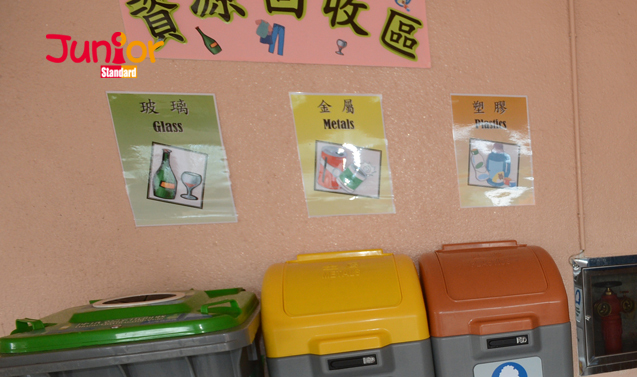 Disposing of municipal solid waste (MSW) in Hong Kong is a serious problem. 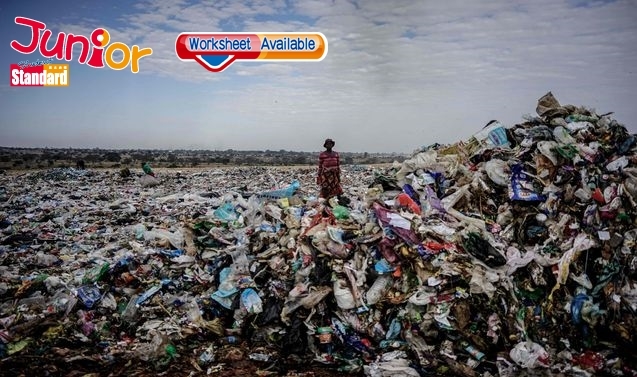 According to statistics, the government estimates that 9,000 tons of MSW are sent to landfills every day. The government has proposed charging to show how important it is to reduce waste. RECENTLY, the Hong Kong Council for Sustainable Development conducted a public consultation about the best way to implement MSW charging and invited the public to share their views. PAY as you throw (PAYT) programmes began in the US during the 1970s, although there was a pioneer scheme in operation in San Francisco by 1932. In Europe, Austria was first. Most other European countries had PAYT by the 1980s when efficient and secure electronic identification systems became available. Policy in Britain varies. Guangzhou residents pay 15 yuan (approx HK$19) a month per household for waste disposal, and charging for waste disposal according to the number of rubbish bags used began in July 2012. Every household gets 60 bags per month and more can be bought for 0.5 yuan. Seoul householders have been taking filled pre-paid rubbish bags to designated collection points for disposal since 1995. The price of bags varies accordingly at roughly 16.5 Korean won (HK$0.11) per litre. Taipei implemented a per-bag charging system in 2000. Bags vary from three- to 120-litre sizes and cost TW$5-20 (approx HK$1-4). Sorted recyclables are taken by waste collection trucks free of charge. per month for a typical household. Source: South China Morning Post, 10 February 2014, C4. Public Consultation on cash for trash. In Hong Kong, there has been a charge for disposing of demolition waste since 2006, but no charges are made for commercial, household or industrial waste disposal. About 13,400 tons of waste are collected and sent to landfills every day. About 67 percent of it is municipal solid waste. That is enough to fill at least four Olympic-sized swimming pools. 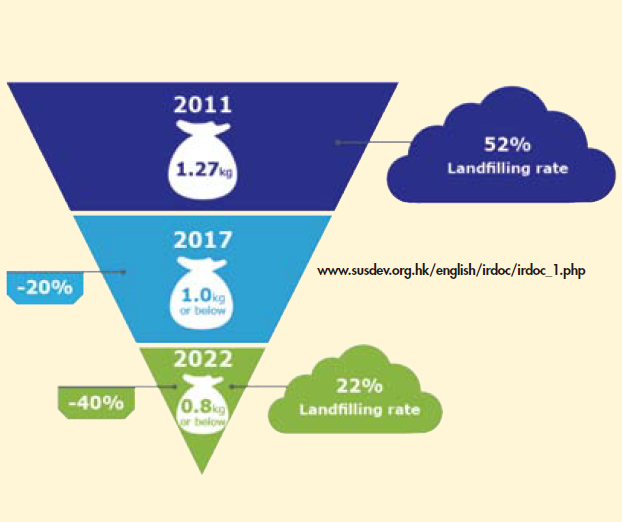 It obviously cannot continue, and the government’s Blueprint for Sustainable Use of Resources 2013-2022 has set targets to reduce per-capita disposal rates at source by 20 percent in 2017 and 40 percent by 2022. Various charging levels have been suggested, including basing charges on levels used in other counties or cities (see box). The public consultation period on the topic ended in January. FINDING a solution to our waste problem is of paramount importance and discussions between all stakeholders need to take place. Then, the best fit in environmental policy can be identified and implemented. The underlying message behind MSW charging is to think before you buy and share non-necessities with others. Waste charging is not intended as a punishment. Rather, it is meant to show how important it is to reduce waste while providing an economic incentive for behavioural change.